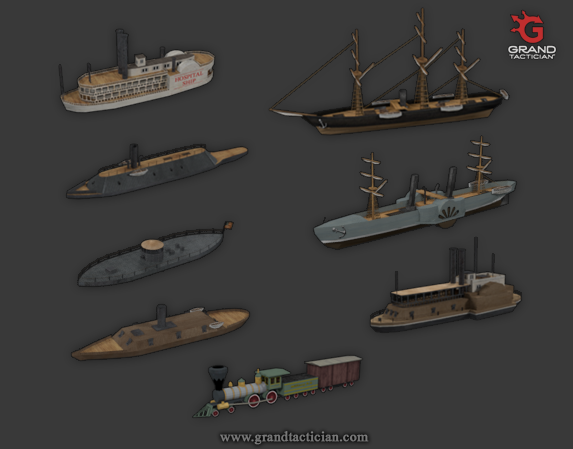 today I would like to introduce our small indie strategy game series "Grand Tactician" and our first title "Grand Tactician: The Civil War 1861-65". For more information please visit our website: http://www.grandtactician.com/thecivilwar/index.html or leave a comment here. Hey, yes I know Darth and I played Ultimate General on my iPad. Like it alot, but this is not the game we're develop. GT is set somewhere between TW and Scourge of War and because I'm not a native english speaker and already very tierd here a abstract from our FAQ. I was a TW modder for many years and playing games of that kind since Fields of Glory (Microprose), Sid Meier's Gettysburg ect... and all I can say is that GT is really unique. A full campaign in real time, large scale battles, multiple days battle, supply system... just to name some of the main features. No of these games has it all. If the Yankees dare set foot in Virginia,we must show them bayonet . yesterday we released 35 minutes of pure gameplay. Enjoy! And don´t forget everything shown in this video is subject to change! I have been waiting for a long time for a actual real time campaign that is not a click fest like total war games. Love it. Since I left TW ageod and norb soft have filled the whole, know it looks like you will do one better. once more great stuff. The attention to detail and historical accurate, i am hooked. I love the pace of the game. Seems perfect. The line of sight is perfect. Keep it as it makes your game the only real accurate game and unique. I love the fact that smoke blocks vision. Just my opinion but the blue lines seem way to think and distracting. It takes from the immersion imo. Graphics. I know you are a small company but the units movements [not fluid it seems] and the corn really seem like they could use some work. Is their any chance of outside help with this area? I hope to see some units engage each other to determine the staying power of units. One thing I cannot stand is like total war, units fight a few seconds and than run. I hope this is more like norb soft where units have staying power. I am already sold on this game and am very, very excited. That is why i offered my thoughts hopefully to help or maybe give you something to consider. Good luck. lines and circles can be separately disabled. Or turn off all of them and hide most of the UI panels too(many of them can be hide) for better immersion. What you see is an early pre-alpha build, our biggest goal here is the performance, if we do a good job here, the more possible graphical updates we could add at some point. However, don´t expect any high-end graphics. Stay tuned a new gameplay video will be out soon. Last edited by Haithabas; September 15, 2018 at 10:50 AM. ll than that sounds perfect, thanks very much. Look forward to the new video. Game looks good, i just wont get it cause of the setting you picked, got zero interest in the civil war. I really loved the Seven years war game and was expecting another european war, maybe war of austrian or spanish succession, or the napoleonic wars even. Anyways i wish you guys good luck on this project! Thank you! Maybe the next game of the series will be more interesting for you. And as promised the Battle of Chickamauga. Please keep in mind it´s Pre-Alpha content. Keep up the incredible effort this definitely has potential. If its released on Steam you'll for sure get my purchase. Former Unteroffizier of the 1st East Prussian Infantry (M&B Napoleonic Wars). Currently the 1stEPI is active and recruiting on ARMA 3, as an Iron Front based WW2 German focused unit. Visit our website for more information on our great history, the modpack in use, and our current operations in progress at http://www.1stepi.com/. If you'd like to know more about me then don't be shy it's the internet. I just came across this the other day. I am already subscribed. This is the sort of combat realism I had hoped TW would morph into. The campaign looks incredibly promising. 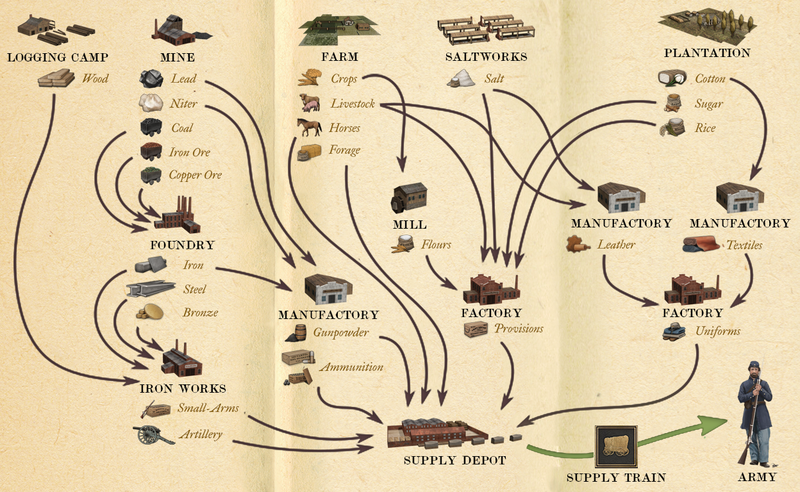 The path finding seems much better than other games of this type (e.g. Scourge of War and Seven Years War). Barring a turn for the worse, you have my money a soon as it is available. We release a dev blog every month for those who are interested.